Emotionally Healthy Spirituality (EHS) was birthed out of the realization that key areas were missing in the church’s spiritual formation and discipleship initiatives. Over the past 21 years, these missing elements were identified by Pete & Geri Scazzero and brought to life through the EH Discipleship Courses. Journey through the EH Spirituality Course and learn how to really love God. Next, the EH Relationships Course helps you truly love others well. Combined, these courses foster deep, beneath-the-surface spiritual transformation and growth in your leaders and your church. Bring these courses to your home church and experience unparalleled growth in your leadership and church community. 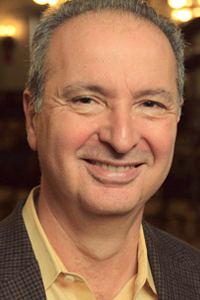 Pete Scazzero is the founder of New Life Fellowship Church in Queens, New York City, a large, multiracial church with more than seventy-three countries represented. After serving as senior pastor for twenty-six years, Pete now serves as a teaching pastor/pastor at large. He is the author of The Emotionally Healthy Leader and two bestselling books: The Emotionally Healthy Church and Emotionally Healthy Spirituality. He is also the co-author of The Emotionally Healthy Spirituality Course and The Emotionally Healthy Relationships Course. Pete is co-founder, along with Geri, of Emotionally Healthy Spirituality (www.emotionallyhealthy.org), a global ministry active in over twenty-five countries. He holds a Masters of Divinity from Gordon-Conwell Theological Seminary and a Doctor of Ministry in Marriage and Family. For more information, join the conversation with Pete on Facebook, and follow along with @petescazzero on Twitter. Geri Scazzero is the author of the best-selling The Emotionally Healthy Woman, The Emotionally Healthy Woman Workbook/DVD, and co-author of The Emotionally Healthy Spirituality Course and The Emotionally Healthy Relationships Course. She is also, along with her husband Pete, the co-founder of Emotionally Healthy Spirituality, equipping the church in a discipleship that deeply changes lives. 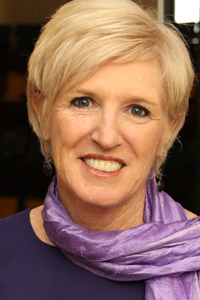 Geri has served on staff of New Life Fellowship Church in New York City for the last twenty-nine years and is a popular conference speaker to pastors and church leaders – both in North America and internationally. Connect with Geri on Facebook (www.facebook.com/GeriScazzero).